Or any related maintenance work, like a check on your car's tire pressure monitoring system. Use our Hosmer Toyota website to schedule a tire service online or give us a call at (641) 424-5182 to learn more about tire care. Our professionals are certified to complete tire care on a range of auto makes, so feel free to contact us no matter the brand of vehicle you own or lease; we'll complete the work in accordance with the manufacturer's specifications. We look forward to welcoming our Charles City, IA neighbors to our dealership and going over any service specials that can be put to use. 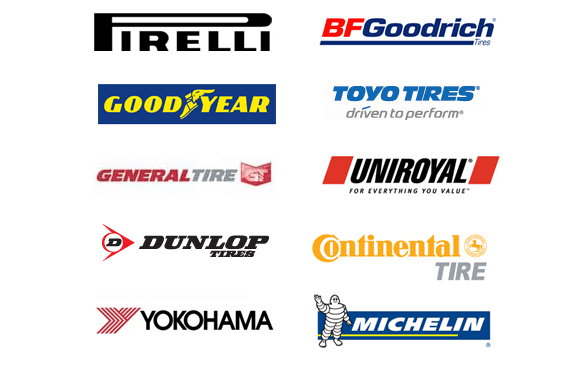 Forest City, Iowa motorists that are looking for new tires for sale for their pre-owned Toyota Tacoma are encouraged to get in touch with our locally owned dealership, as we stock a variety of quality tire brands. Our factory and ASE certified technicians will present you with affordable tires that not only complement the make and model you drive but the types of terrain you encounter on a day-to-day basis. We can also assist you in protecting your purchase by helping you stay on top of rotations and proper inflation levels. For all things tire care, our new and used Toyota dealership in Mason City, IA is here for you! Why fill your tires with nitrogen? Replacing oxygen in your tires with nitrogen can enhance handling, improve fuel efficiency, extend tire life, protect the Earth, and most importantly keep you safer on the road. Nitrogen molecules are larger than oxygen molecules, therefore making it harder for nitrogen to pass through anything. By reducing the amount of oxygen and other gases in the air of your tires they will retain pressure three to four times longer with nitrogen taking up a larger percentage of the air in the tire. Longer Tire Life - Oxygen causes oxidation which in turn can make rubber brittle and cause it to lose strength. At high temperatures and pressures, oxygen can react and cause damage to inner liners of your tires whereas nitrogen does not. Increased Safety - 90% of tire blowouts occur due to under-inflated tires. The more reliable pressure of nitrogen greatly decreases this risk.